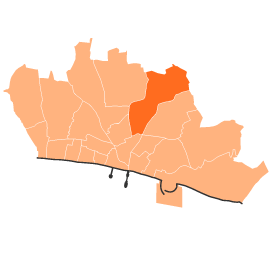 The Hollingdean LAT falls within the Hollingdean and Stanmer ward and includes the area bounded by Ditchling Road to the west, the eastern boundary of Holingbury Park (including Moulsecoomb Station) to the east, and the junction of Holingdean Lane and Ditchling Road to the south. The LAT usualy meets on the third monday of each month alternating between the Hollingdean Community Centre, Thompson Road at 10am and St Richards Church in Beal Crescent at 7pm. We are a friendly group of like-minded people who live in Coldean and want to make improvements to the local community. Our aims are to make improvements to the environment, safety in the area and address any issues that residents may have. We hold our meetings on the first Tuesday of every month in New Larchwood Café Waldron Avenue Coldean from 7.00 pm. You are welcome to come along.